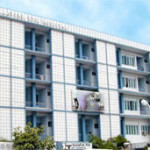 Government Rajaji Hospital provides tertiary care to more than twenty million people in the southern part of Tamil Nadu. The hospital was established in 1842 and formerly known as Erskines Hospital. It is the oldest and illustrious institution catering to the population of the adjoining Southern Districts.It provides tertiary care with the comprehensive health insurance scheme by the government of Tamil Nadu.